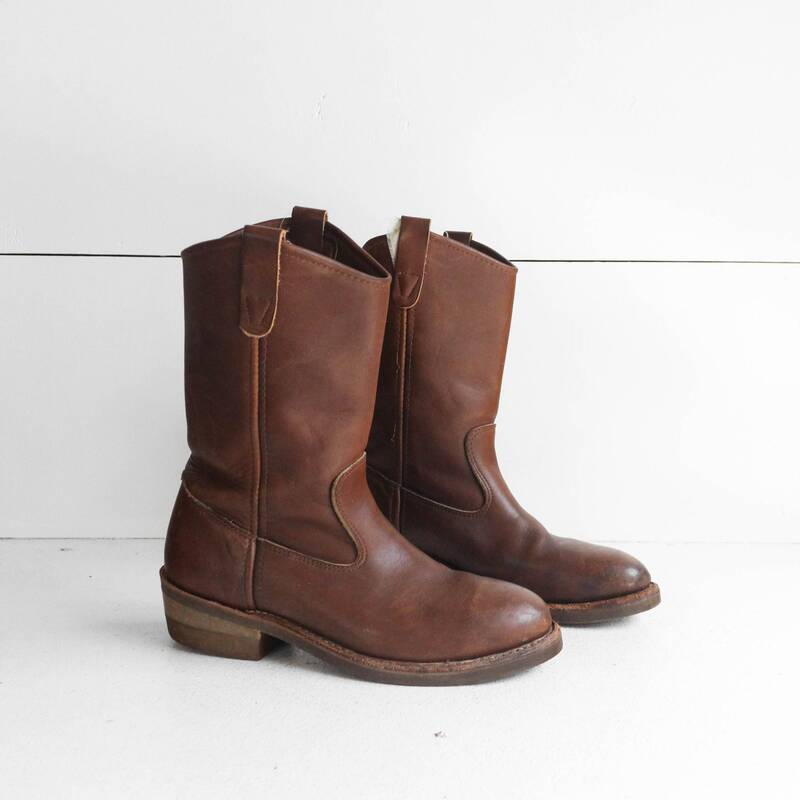 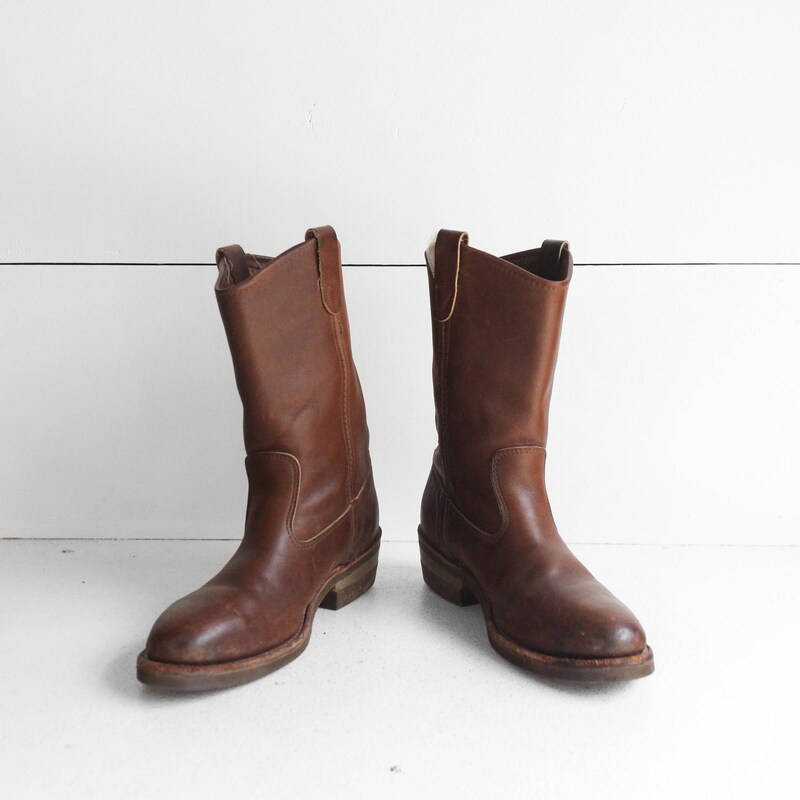 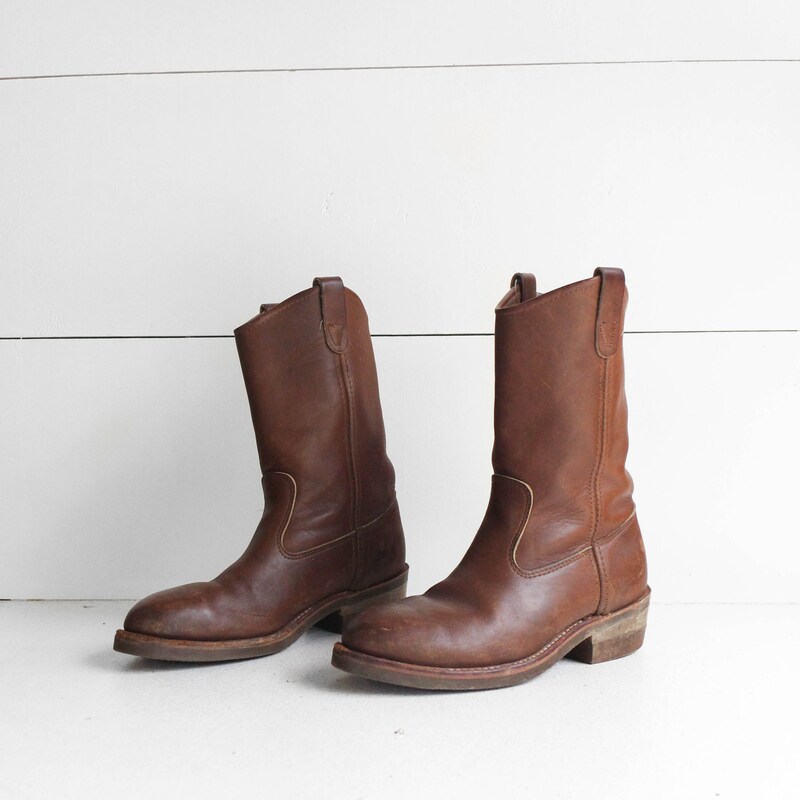 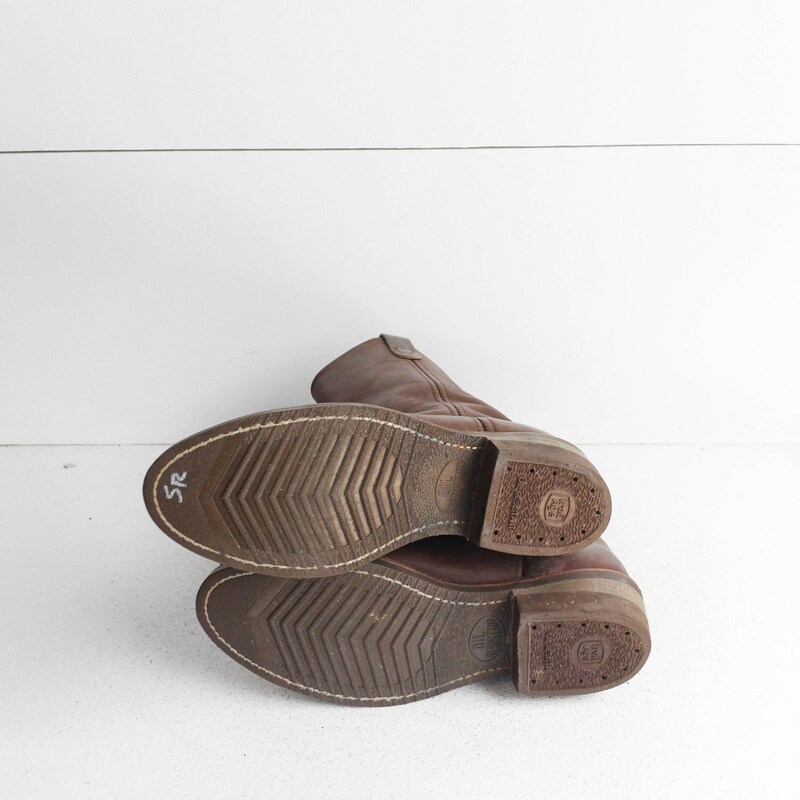 These vintage pull on work boots are similar to the Red Wing Pecos boots in style. 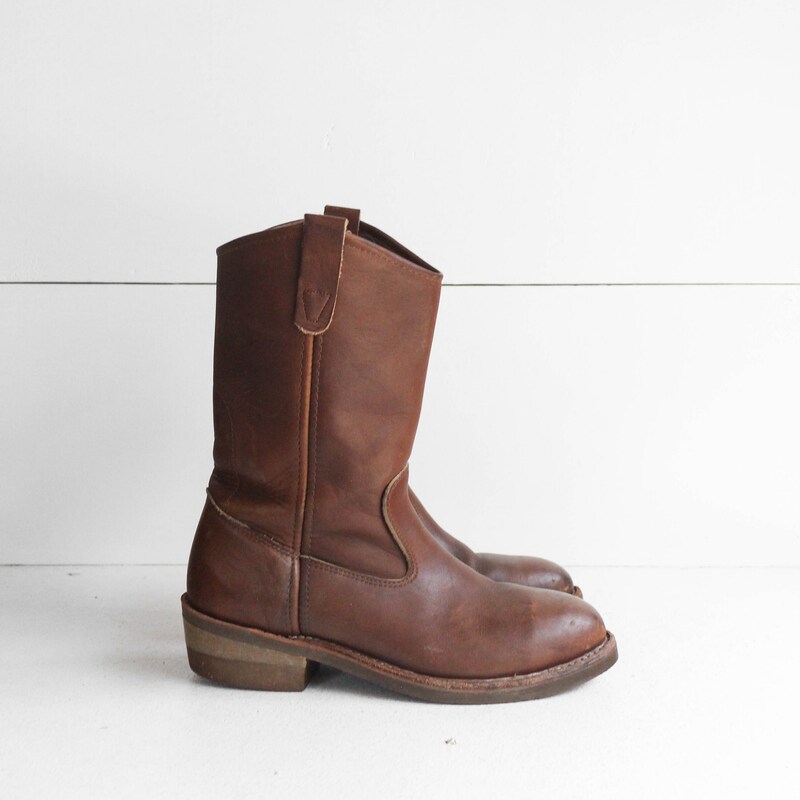 The boots are made from a brown leather with steel toes. 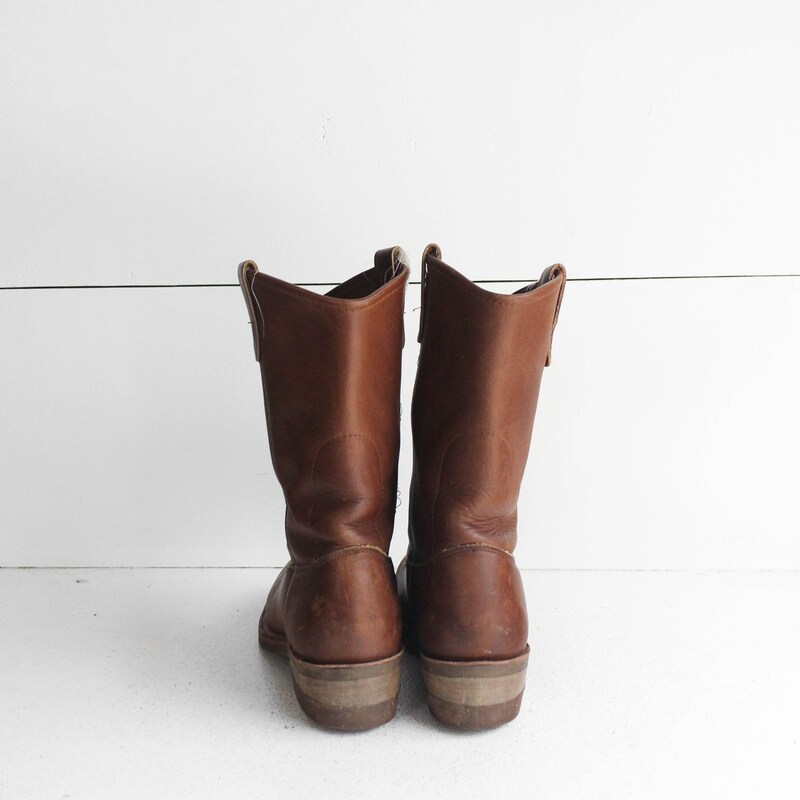 The boots have oil resistant soles and are made by the Iron Age company.